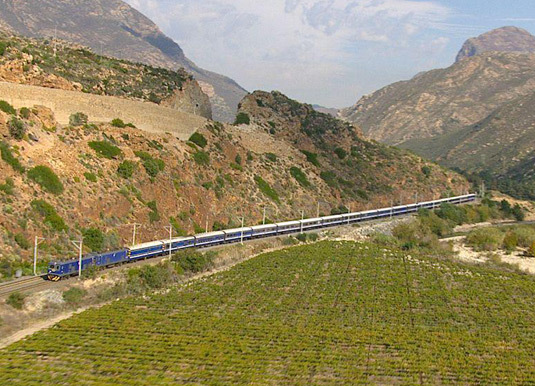 The Blue Train offers an unmatched experience of luxurious modern travel whilst invoking the romance and history of the past. There are currently two trains in operation, one accommodating a maximum of 52 guests and the second a maximum of 80 guests. Two lounges offer convivial spaces in which to relax and build new friendships over a cocktail; the Club Car and Lounge Car. The wood-panelled Club Car (smoking lounge) has the feel of a gentleman's club and is where you're free to enjoy a Cuban cigar which is served after dinner. The beautifully designed Lounge Car (non-smoking) is an ideal venue to enjoy the countryside views, with its windows perfectly framing the ever-changing panoramas. It's also the venue for afternoon High Tea, or the place to wander into after your five-course dinner to enjoy a nightcap and round off a perfect evening. All meals and drinks (except champagne) are included and served in the delightful Dining Car, where The Blue Train lives up to its five star reputation in every sense. Lunch is elegant yet casual and dinner is more formal with an opportunity to don your finest attire. Accommodation is in a deluxe suite which transforms from an elegant and relaxing lounge by day into a subtly-lit bedroom by night. You have the choice of twin beds with shower or double bed with bath. Larger luxury suites offer twin or double beds, luxurious bath tubs and a digital interactive entertainment system, with an inviting selection of music CDs and big screen movies on DVD. Both deluxe and luxury suites are air-conditioned, have a hairdryer, safe, free WiFi and the 24 hour services of a butler. Day 1 Pretoria: Afternoon departure from Pretoria. After time to familiarise yourself with the train and settle into your suite, enjoy an elegant dinner. Day 2 Kimberley: Following breakfast the train arrives at Kimberley Station. Disembark and travel by bus to the Kimberley Open Mine Museum for a tour. 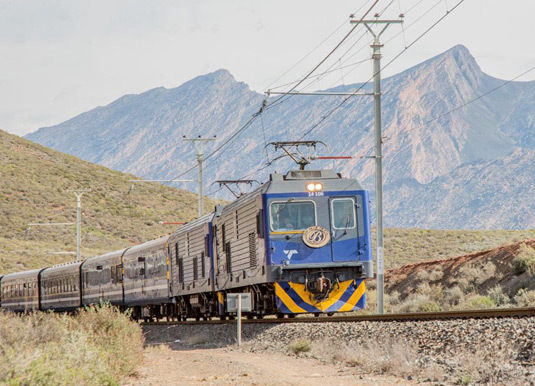 Return to the train for lunch as the train commences its journey southward to Cape Town. During the afternoon relax and marvel at the panoramic vistas before high tea and dinner. 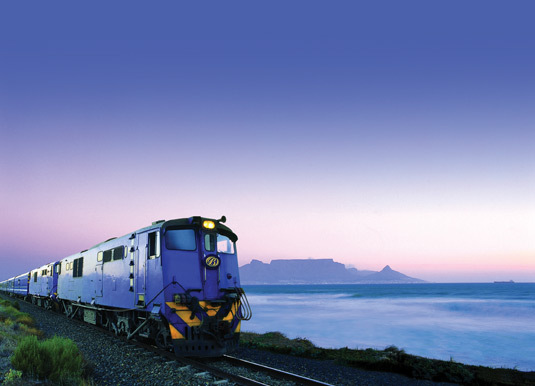 Day 3 Cape Town: The train arrives in Cape Town this morning where your journey concludes. This journey is available in reverse. Departures: From Pretoria on selected Mondays, Wednesdays and Fridays; from Cape Town on selected Thursdays and Saturdays. Accommodation: Deluxe suite on the train. Meals: All inclusive on the train. Tour price: The price shown is based on the best value travel dates in low season and includes 2 nights accommodation as stated.